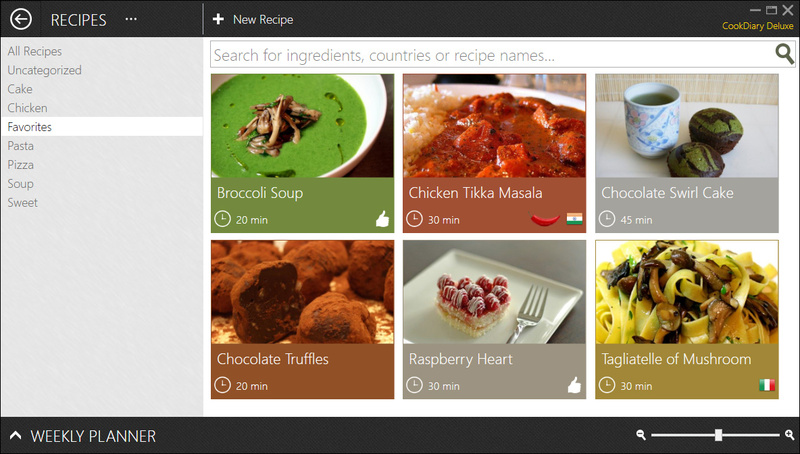 CookDiary is your personal recipe software. This recipe software manages all your favorite recipes, helps you to plan your meals and even aids your cooking. It unites all advantages of a cooking software and a cookbook. Create menus, plan meals with the integrated calendar and print your grocery lists for whole weeks. In contrast to other recipe software CookDiary provides even more amenities of a real cookbook. It is modeled after the accessibility and simplicity of a cookbook and doesn’t overwhelm the chef with spreadsheets. Cooking with CookDiary is fun.